Why should you buy a health-conscious walking shoe? Should it be an orthopedic or a stylish yet simple shoe? Does it matter if your shoe is comfortable and supportive? Yes, it is true, we all have questions like these in our mind when we need a comfortable, supportive, good looking shoe for walking or running. In fact, women usually look for a shoe that not only supports their every day needs but it has to provide comfort and style even if they are used for a longer period of time. The new balance women’s health shoe is a laced shoe offering comfort, great design, supportive sole and safety, better efficiency and effortless use. The shoe complies with the health standards by providing inner comfort and preserving the natural posture of the foot and facilitate the gait cycle with proper support and comfortable cradling of the foot. The shoe is specially designed to provide maximum efficiency and lower the impact on the foot area during use. It has been designed for a perfect and balanced walk that support athletes in different ways by providing support and comfort at the same time. The materials used in the shoe include leather and rubber where the leather makes the upper and the rubber sole offers a durable base for keeping the shoe in its form for a long time. Overall the shoe comes in a well-designed shape offering a durable structure that keeps the foot safe from external factors and impacts. Though it is not a fancy shoe still offers a good design and shape for the wearer who needs a decent shoe with all the comfort and support features for a balanced walk. It is available in light and black colors. The shoe comes with reasonable inner padding and comfortable lining for giving a soft, cushioned inner area to keep the foot snuggly fitted and comfortable during the walk. The collar and the tongue of the shoe also offer enough padding to provide cushioning for the ankle area and keep the foot safe from twisting and turning issues. The shoe features breathable upper with mesh fabric and perforation in the leather upper offering continuous flow of air towards the inside for keeping the inside fresh and dry for hours. The shoe offers a comfortable room for keeping the foot relaxed whereas it comes with lace-up closure so that your foot gets a customized fit with comfort and added ease. It is a motion-control shoe offering comfortable cradling of the foot as well as it offers impact absorption and fatigue resistant features for better and easier walking experience. In addition to the supportive insole, the outsole of the shoe also offers firm support and grip on the ground and make sure the shoe takes-off and lands on the ground without slipping. Is it available in wide width size? Yes, the shoe can be purchased having the exact size of yours or if you have wide feet, you can select the ‘W’ +your size and it will offer enough room for your bulky feet for keeping your comfortable. Will this shoe start showing wear-tear soon? If the shoe is used having the right size i.e not too wide, nor too small and is used for walking or athletic practicing only, then it would stay in shape for a long time. But if the sizing is wrong or you are wearing it for running then wear-and-tear may be visible on the shoe. Does this New Balance shoe offers enough arch support? Of course, this shoe offers a very well-designed arch support for keeping the foot stable and in place during the walk and make sure the wearer will be at ease when walking or practicing. Is the shoe true to size or should I buy a bigger shoe? New balance shoes are true to size and you can purchase your size confidently, in case if you need a wide shoe due to bulky feet, you may order the size with the wider design. Can we use these shoes for running on different terrains and roads? Not at all, these shoes are not for running, rather it’s a comfy walking shoe. The overall average rating of the shoe provided by the online customers is around 4 out 5. This shows that the shoe has proven to be among the best walking shoe available online. You can trust its durability and performance for sure. The ratings are based on the performance and comfort that the shoe has provided to its users. For athletes and those who go for a regular walk, the shoe is perfect because of its inner comfort features and outer durable and supportive design. The shoe offers natural and stable support to the foot so that its stays safe inside the shoe and make the walk easier and better by lowering the impact on the foot muscles and increasing the efficiency effortlessly. The wearer surely feels lesser fatigue and may experience greater convenience while walking and practicing. The lightweight and breathable design make sure you will always feel easy in the shoe no matter for how long you have been wearing it. 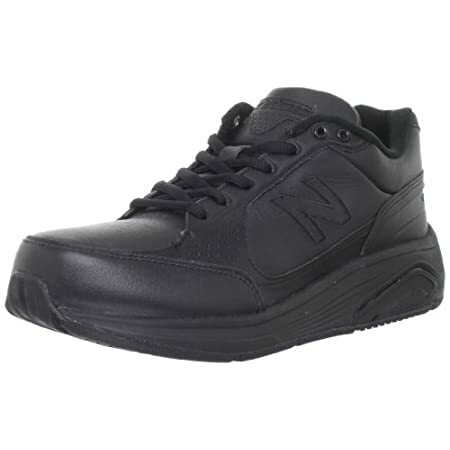 Overall it is one of the best New Balance shoes that offers safety, style, and comfort and keeps your feet easy during the walk so that you don’t feel fatigued or strained after practicing or walking for some time. It is better to select the right size if you need to get benefit with all the desired features of the shoe indeed.